Annual REMOUNT Event Going On Now! It is here! Our Annual Remount Event has starting. Running from now until April 30th recieve special deals on all remounts! Create a custom piece with one of our designers or choose from the hundreds we have in stock! 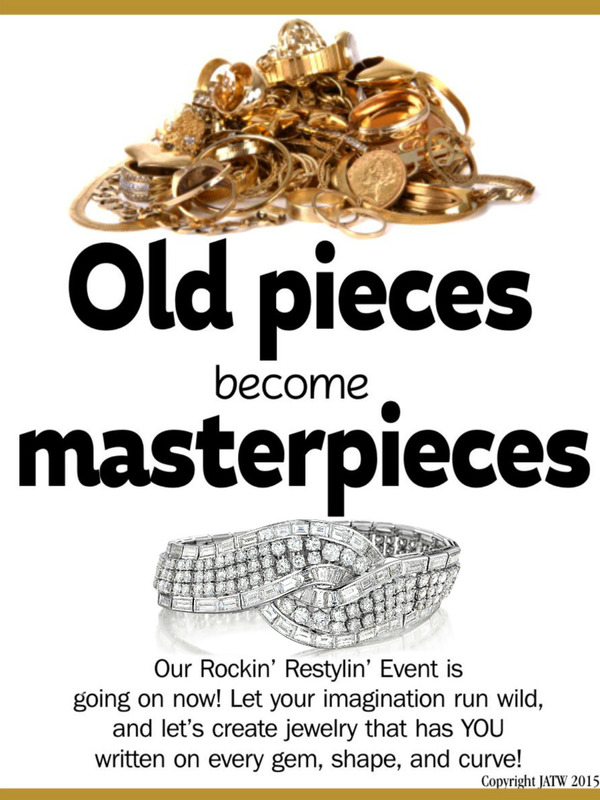 Bring in your old unwanted jewelry, gold, and diamonds and let us create a piece you will love wearing again! Whether you want to create a new ring, earrings, necklace, or bracelet the sky is the limit! Throughout the month we will be featuring Trunk Shows from some of our top designers. At each trunk show there will be special pricing for that event ONLY! So make sure to stop in for your favorite designers trunk show and we can help you create a masterpiece! Also, check your mailbox for money saving coupons! This month you will find the largest collection from famed designers Verragio, Gaberial & Co, Sylvie, Simon G. and Valina ever seen in store! There will be mounting designs and wedding bands for everyone! 1. Best pricing guaranteed! Each designer is extending a HUGE TRUNK SHOW EVENT discount on their most precious pieces. 2. Any piece purchased will be registered with our lifetime warranty! No matter how long you own the piece we will have you covered! 3. This is a ONCE A YEAR event and some of these pieces are never to be seen again! 4. Can't make it to a specific designer trunk show one weekend. Fear not our custom and SVS Signature Bridal and Wedding Bands are on SALE all month long! 5. We are just a lot of fun, so stop by have a drink and chat with us!